I wasn’t optimistic about Veronika Decides to Die when I first picked it out. Paulo Coehlo is a name I’m aware of vaguely, but I’d never read anything of his before I noticed Veronika on the shelf of a charity shop. Through these intense days Veronika comes to realise that every second of existence is a choice we all make between living and dying. This is a moving and uplifting song to life, one that reminds us that every moment in our lives is special and precious. While others may disagree, to me that sounds like a routine, by the numbers, ‘heartwarming’ story, in which the hero discovers the joy of life, realises there are things worth experiencing, opens her heart, instantly embraces joy, skydives from a plane, blablabla. It’s not that I disagree with that sort of outlook on life, but in my experience it’s usually handled badly – superficially and cleanly. If I am cynical about ‘heartwarming’ stories, it’s only because it’s a story format that’s hard to pull off in my experience. Its more likely to end up cheesy and sickly sweet, rather than upbeat and optimistic as they’re intended to be. And Veronika Decides To Die does pull this off – it’s a genuinely sweet book, with the sharp edges – dealing with subjects like misery, mental illness, the difficulty of connecting with others – intact. 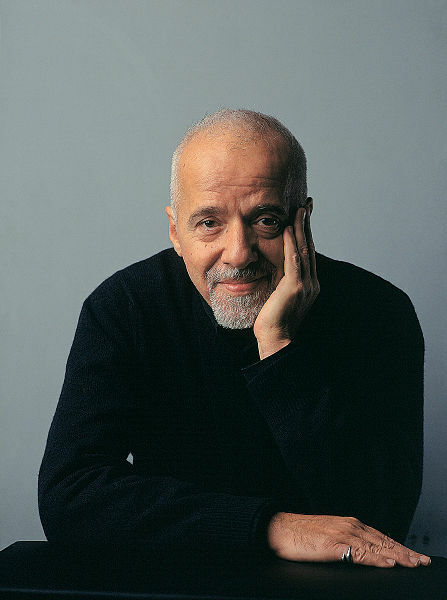 Paulo Coelho: You may remember him from such poses as ‘stroking his beard’ and ‘resting his head against his left hand’. I really like ‘magical realism’ as a style of prose – the type of world that feels more real than reality, a bigger, quirkier and more colourful version of the real world, but still rooted in the complex and sometimes dark emotions of the world around us. This is achieved partially by the colour and poetry of the prose, and partially with playful ideas – there’s Veronika’s suicide note, Coehlo writes himself into the novel, and one of the doctors believes he’s found a single cause of all madness (one that isn’t totally implausible). The story begins with the main character, Veronika, deciding on suicide, not because she’s been worn down and is unable to cope with life, but because, on a more intellectual than emotional level feels her life is pointless. It’s an interesting choice for the writer to make, as is the whimsical way the scene plays out – considering placing the blame for her suicide on a magazine article that was mildly rude about Slovenia, her home country. As mentioned in the blurb, Veronika’s suicide attempt fails, leaving her, weeks from an inevitable death, in a mental institute. But she doesn’t open up straight away – the opposite in fact, shutting down and withdrawing from those around her, so as few people are hurt by her death as possible. The book takes a long time for the positivity I was expecting to kick in – not only is Veronika consistently negative, but it’s persuasive, logical negativity as well. As Veronika embraces her loneliness, the scope of the story expands, showing us the patients of the institute, with conditions ranging from anxiety to schizophrenia, and the characters are well drawn, sympathetic and believable. Having said that, none of the characters are given mental illnesses that place them into an unwinnable situation, and I’m not sure schizophrenia works the way it’s depicted here. There’s also an event towards the end of the story I found hard to buy, but by the time I reached it, the book had built up enough goodwill, through its tenderness, humour and depth, that I was willing to set my objection aside. Verdict: A genuinely inspiring and empathic novel, with tenderness and sympathy for it’s flawed characters.